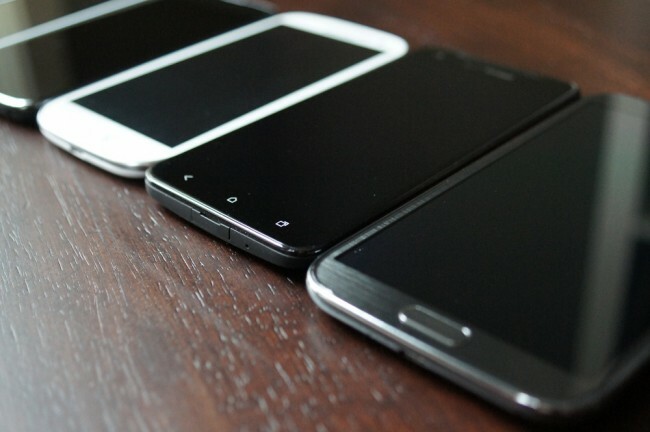 Wednesday Poll: What’s the Perfect Smartphone Display Size? Smartphone displays have grown at a ridiculous rate over the last couple of years. It seems like just yesterday that we were making the jump from the 3.7″ original DROID to the hummer-esque 4.3″ DROID X. At the time of the release of the first EVO and the DX, we thought we had reached a limit for super-sized phones. Boy, were we wrong. We’re now swimming in 5.5″ phone-tablet hybrids with 4″ devices coming off as “small.” Companies are even pushing towards 6+-inch phones – an absurd idea. But hey, if people keep buying ’em, why not make ’em? But for the sake of a good poll, why don’t you tell us what your optimal display size would be? What's the perfect smartphone display size? Rumor: Samsung Galaxy Tab 3 7" to Cost Just $150?